It’s not a matter of choice whether to have a first-aid kit or not, everyone ought to get one. Because in your life there will be times when you wish you had a first aid kit nearby, moreover as an outdoor aficionado, the above case will be much more likely to happen. We always hear stories about people getting injured from their guns, car accidents, and many other hunting specific injuries in various parts of the body. In those times, having a first aid kit can help in various ways. It never hurts being prepared for the unexpected. You can be injured the other people around you could, at least the latter one should be a reason to must have a kit with you because you can be of greater help. 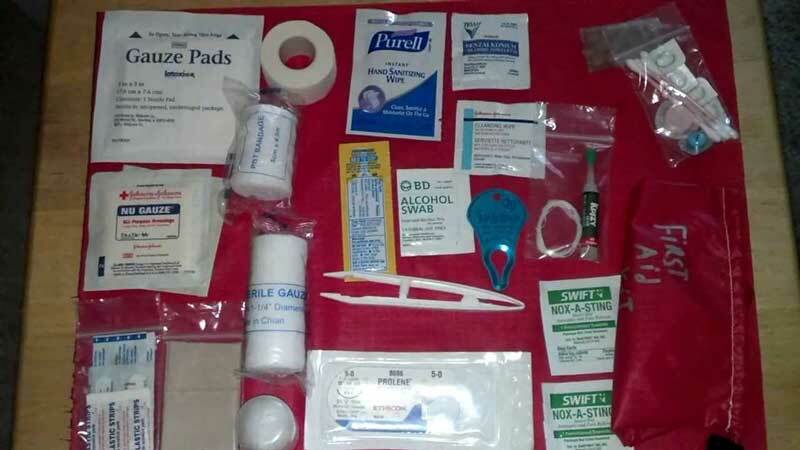 A first aid kit is called “first aid” because it can provide aid fast and as quickly possible. A readily available short term aiding kit can help you till you can get close to a hospital or a doctor. The quicker you fix your injuries, the less the chances of having a severe one. And the longer you wait, it gets worse. Rapid treatment lowers the risk a lot. The truth is that blood drains quickly and we do not have much blood. A deep vein injury can drain you up in few minutes. So keeping a first aid set near can save you some seconds and get you extra time to seek help. A medical emergency is already very distressing, and waiting for an ambulance gets it even worse. In that case, a first aid box can keep you calm for the time until you get an ambulance or go to a clinic. The above four points are only a few reasons why it is important to have a first aid kid as a hunter or outdoor explorer. Life is always unexpected and you should always be safe as much as possible because having safeguarding is always better than cure. How to Catch, Fillet, and Cook Black Drum?